According to the Insurance Institute for Highway Safety, over 3,400 people died in a truck related automobile accident in the year 2010. Five percent of those truck drivers had a blood alcohol content over the legal limit at the time of the fatal accident. Even more troubling, however, is that three percent of all truck drivers tested positive for illegal drugs in 1999 (the last date data is available). Id. Tractor-trailer trucks are already dangerous with a fully rested and responsible driver. Add illegal drugs or alcohol into the mix, and an 18 wheeler becomes a dangerous and deadly weapon. 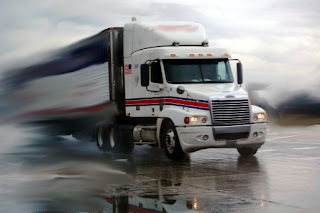 Sometimes, trucking companies do not do everything that they are required to do to ensure that their drivers are operating their trucks safely and legally. The sad reality is that some trucking companies are even willing to turn a blind eye to DUIs for drivers who deliver shipments quickly and ahead of schedule. Sometimes, the criminal justice system cannot do everything necessary to send a message to these trucking companies that such horrible behavior will not be tolerated in the State of Georgia. Therefore, Georgia has created laws authorizing courts to grant punitive damages -- damages to punish individual drivers or trucking companies who have a complete disregard for the safety of others on the road. If you or someone you know has been involved in an accident with a truck driver who was under the influence of alcohol or drugs at the time of the accident, call a lawyer immediately. Even if you are not injured, you have a duty to send a message to the trucking company that such behavior will not be tolerated in our state. You need an attorney who will fight to keep that drunk driver off the road and save a future life from another tragic truck collision. Call to speak with Michael Coker if you or someone you know has been involved in a collision with a truck driven under the influence of drugs or alcohol in Georgia. With his experience handling trucking and drunk driver cases, Michael Coker is dedicated to keeping Georgia safe for all drivers and free from tractor-trailers driven under the influence. Even if you plan on ultimately hiring another attorney, call us first for a free consultation. We want to tell you everything that you need to do to keep that drunk driver or reckless trucking company off our streets to keep all Georgians safe.